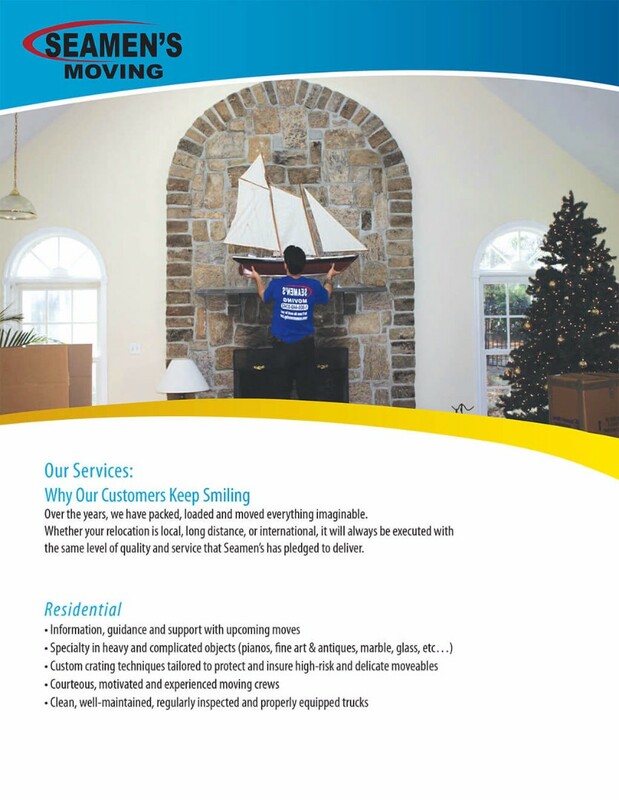 Our mission is to ensure that every move is executed as efficiently, reliably, and quickly as possible — without compromising quality or customer service. Whether your move is residential, commercial, local, or long-distance, we understand it can be stressful. 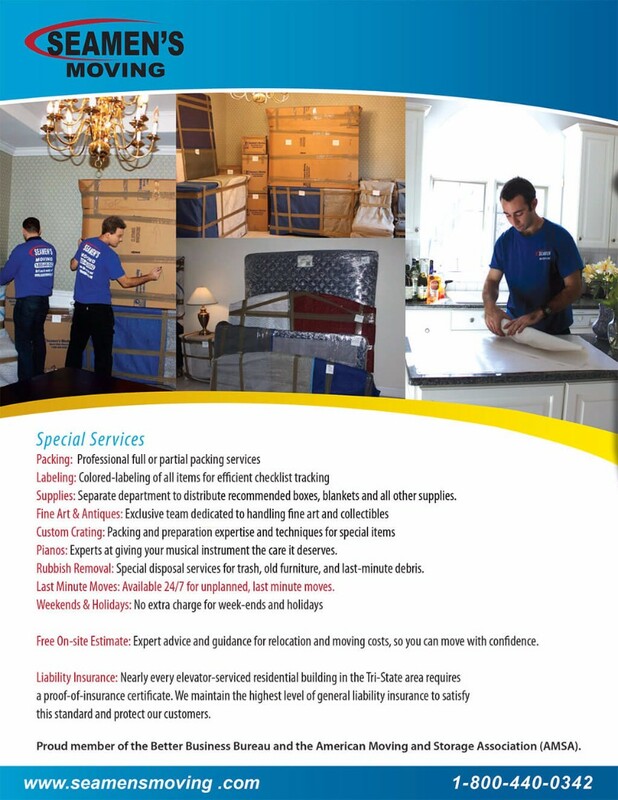 Our experienced team of professional movers has the most powerful resources and moving skills to expedite your move and make it as stress-free as possible. Our vision is to become the number one moving company in the tri-state area and we are well on our way to making our vision a reality. Our team has devoted over 20 years to building an industry-leading moving company by providing reliable, quality services specializing in residential, commercial, and international moving for all sizes and distances. 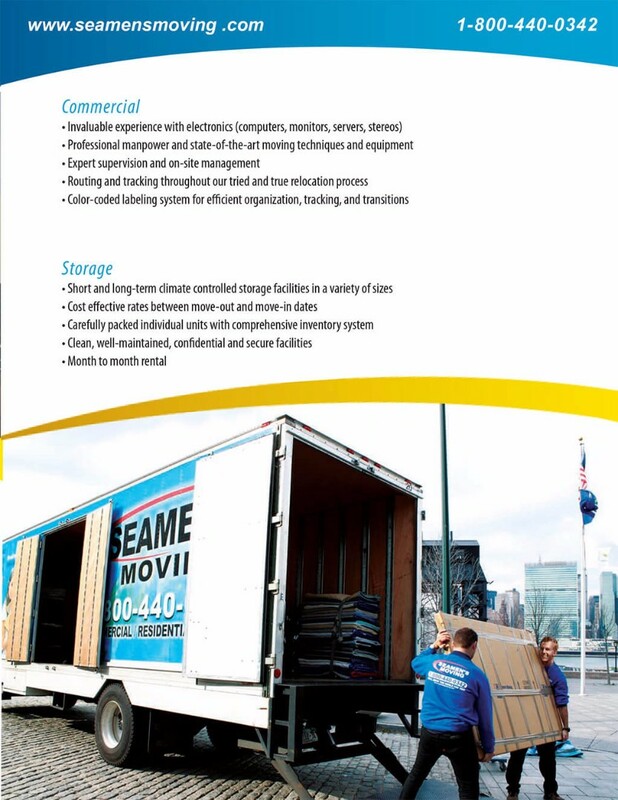 I used this company to move the entire contents of my small business in Manhattan to a new location. 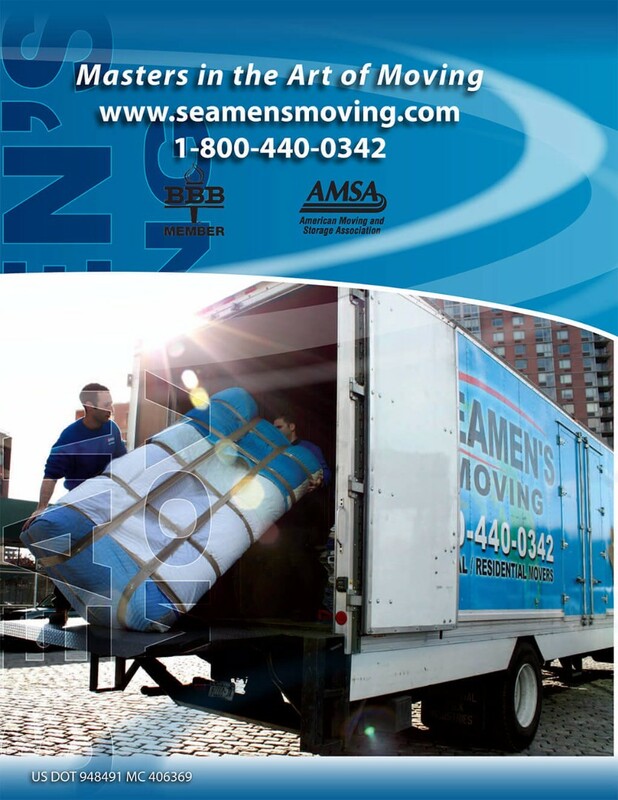 They sent a person to ck out our items for the move ahead of time, gave us a reasonable quote & were very quick & professional.The day of the move I was stressed but they showed up on time withenough workers to complete the job like pros & on time. No breakage at all. As for tipping we gave 20 per cent to all the workers and they seemed happy with it.Dan from Seamans even helped us get rid of some of the unwanted items we had from the move.Job well done!! Everyone from their office to the delivery people were highly professional & courteous (even their two college guys). Everything was packed extremely well. We were happy! I have to say that these guys were excellent -- they were extremely careful with all my items, and they worked very efficiently, and were nothing but polite the whole time.Moreover, when my giant pull-out couch wouldn't fit in the elevator of my new building, the 3 guys working that day lugged this heavy thing up 6 flights of stairs... with great difficulty! And not a single complaint. 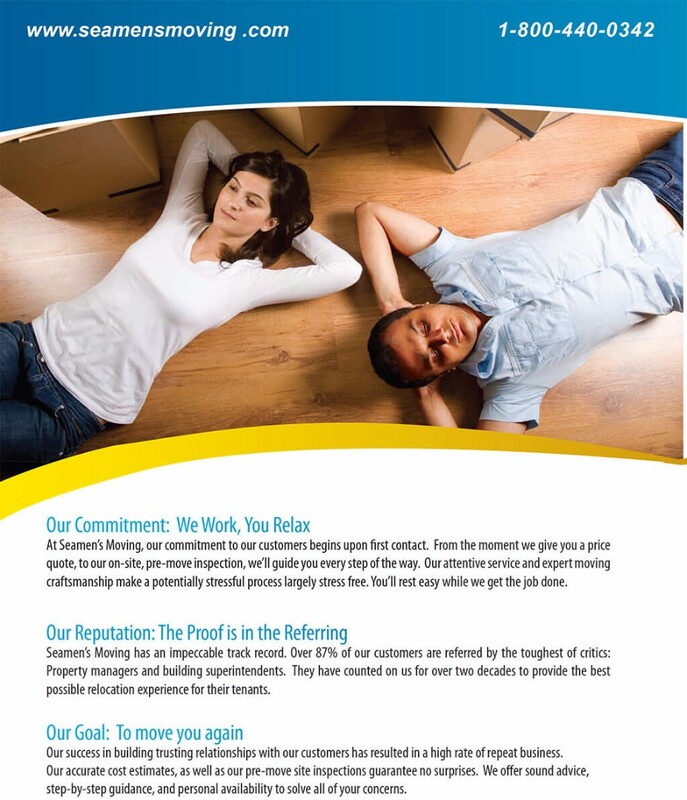 I was extremely impressed.I would recommend Seamens to anyone looking to move without breaking the bank. They do have a 4 hour minimum (most places have 3), 1 hour of which accounts for their travel to/from the job site(s) (even if they're traveling from down the block), but that's a very small gripe given how excellent they are at what they do and are reasonably-priced as well. 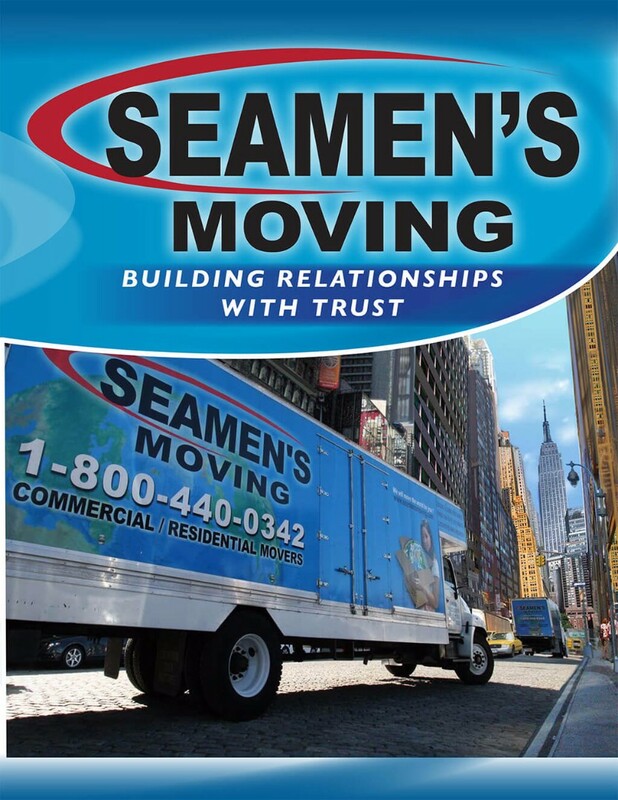 I had an excellent experience with this company moving from New Jersey to Manhattan. The planner Michael was very helpful in explaining the estimate and planning the move. The moving team they sent were friendly, fast, and efficient. 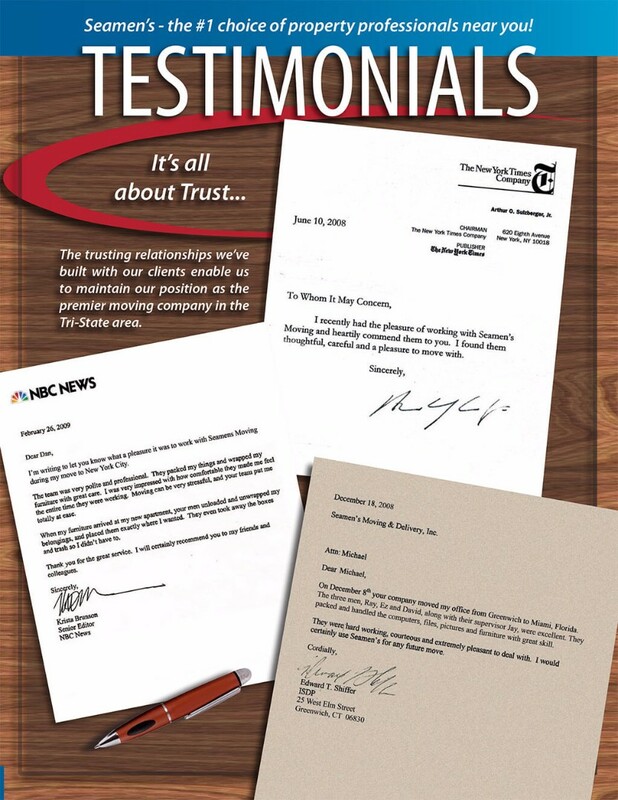 There was a small issue with the truck during the move, but they communicated well, got it resolved quickly, and did not push any of the financial burden on me.In fact, the final price of the move was even much less than the estimate. Great service, affordably priced. Highly recommend using them.